I had fun crocheting them; sewing on small beads was surprisingly enjoyable too - I thought it would be difficult for me since the beads are so tiny, but I found it quite simple. The pattern is now available in my etsy shop. Can you give a pattern that you don't have to pay for?? 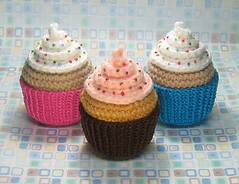 I am an almost expert at crocheting and usually I can look at something and figure it out. 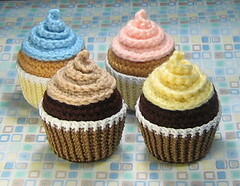 I am 14 and I really wanna make those cupcakes. Thanks Bye.